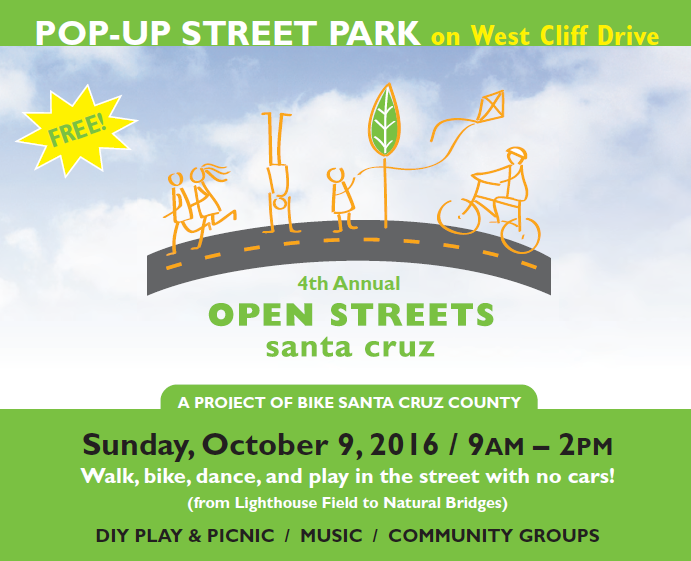 The Clubs are excited to participate in this year’s Open Streets along West Cliff Drive on Sunday, October 9 from 9am – 2pm! Walk, bike, scoot, skate, dance and play along the street from Lighthouse Field all the way up to Natural Bridges, with no cars to worry about! Visit us at our booth for a fun game! Learn more about the event at SCOpenStreets.org.